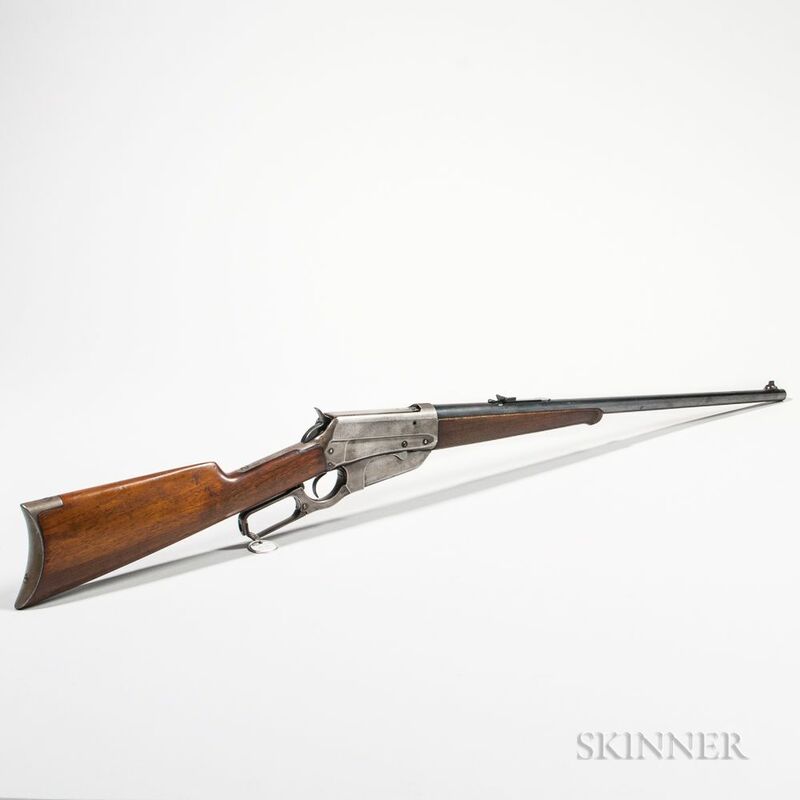 Winchester Model 1895 Rifle, c. 1925, serial number 416102, .30-06 caliber, walnut stock, round barrel marked on the left side "NICKEL STEEL BARREL/ESPECIALLY FOR SMOKELESS POWDER/30 GOV'T'-06," and on the right of the receiver "MANUFACTURED BY THE WINCHESTER REPEATING ARMS CO. NEW HAVEN. CONN. U.S.A./PATENTED NOV. 5 95. NOV. 12. 95. AUG. 17. 97.JAN. 25. 98. AUG. 23. 98. AUG. 6. 1907.," barrel lg. 24, overall lg. 42 1/2 in. Stock has a few dings and nicks, barrel retains most of its original blue with a few light spots, the receiver is bright and the action functions properly. The bore is good.